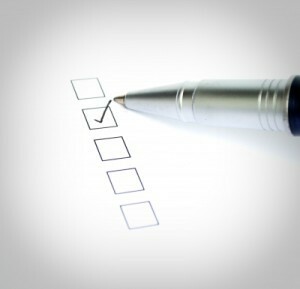 A well designed ToDo List will allow you to save a lot of time and will let you accomplish everything you plan to do. It is also a simple way to improve your time management. So let’s take a look at a few basic principles that you can use to create a perfect ToDo list. The first time management technique that we want to describe is Pomodoro. 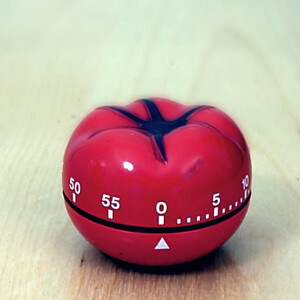 Pomodoro technique is one of the basic techniques to manage productivity/performing tasks. This technique is ideal for impatient people who have no time. :) It does not require a lot of knowledge and specific preparation to implement. It allows you to keep a perfect balance between the time spent on work and relaxation. Source of Java ClassCastException sometimes can be hard to find. In such situation type safe List may be really helpful. In this tutorial you will learn how to find ClassCastException using Java type safe List! Java Binary Search with Comparator is very flexible method to search for elements of any type. In this tutorial you will learn how to use binary search in Java with own Comparator! Java binary search is very fast way to find an element in a sorted collection of elements or find a place where it should be inserted. In this tutorial you will learn how to effectively use binary search in Java! In Java Deque can be used as LIFO Queue, which is a Stack. In this Java tutorial we’ll explain how it works and show how to use JDK API effectively! In Java there is a couple of ways to add an array of items to a collection. In the following examples we’ll cover a few of them. Bash until loop is another basic construct occurring in many programming languages. It is similar to the while loop, but… different. Learn how! Java 7 finally has shipped try with resources construct that simplifies very common use case when developer had to open some resource and then close in finally block after usage. try with resources makes it very simple. Learn how!